Calder Reservoir is a small reservoir located on Pot Creek on Diamond Mountain. It is the second reservoir of three on Pot Creek, along with Matt Warner and Crouse reservoirs. The Division of Water Quality (DWQ) visited Calder Reservoir on August 30, 2018. 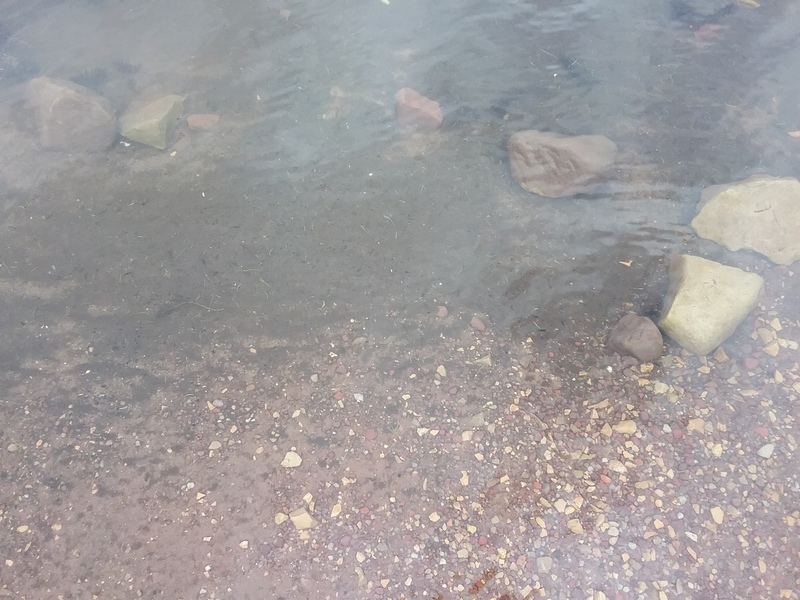 The monitoring crew observed cyanobacteria that resembled grass clippings at the boat launch. Overall, the bloom was less abundant than the month before. DWQ collected a surface sample at the boat launch. 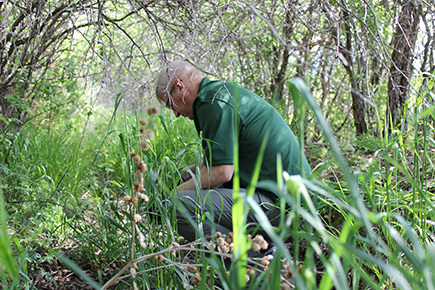 Toxin test results from the Utah Department of Agriculture and Food (UDAF) lab were below the recreation health-based threshold for anatoxin-a (<0.1 micrograms per liter (µg/L)) and microcystin (0.72 µg/L). Cyanobacteria cell count concentration results are pending. 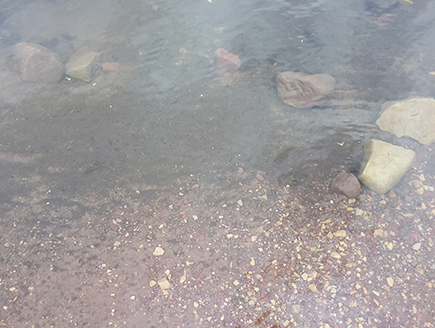 Division of Water Quality (DWQ) monitoring crews collected a sample at the Calder Reservoir Boat Ramp on July 26, 2018. Toxin test results from the Utah Department of Agriculture and Food (UDAF) lab showed <0.1 micrograms per liter (µg/L) of anatoxin-a and 3.95 µg/L of microcystin. This microcystin level is extremely close to the recreational health-based threshold of 4.0 µg/L. DWQ anticipates cyanobacteria cell-count concentrations and taxa identification later in the week.